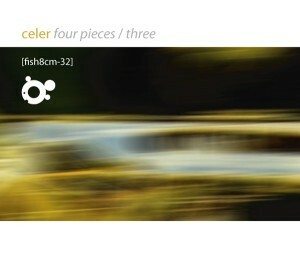 And so we reach the penultimate part of the Four Pieces series from Celer. Once again I’m absolutely thrilled to be bringing this to you and I think that you’re going to be as delighted and wowed as I was when I first heard it. Entitled Photophores this work is just as fluid and beautiful as the other parts but, to these ears, has the most classical feel. Certainly there’s an almost orchestral lilt to the sound which carries on from part two by using a lightly discordant tone to convey a sense of darkness in the background, resonantly drifting over you. That said it plays wonderfully against the overall warmth, melancholy and uplifting feel that pervades every second of the piece. With a shimmering sound – which perfectly captures the idea of the title – it conjures up images of a distant heat haze and becomes a sublime 20 minute journey that’s purely magical. Once again showing that they’re in a league of their own when it comes to producing deeply gorgeous and atmospheric ambient music, Celer really do have their own unique sound – and for that we must cherish them. As always my heartfelt gratitude goes out to both Will & Dani for making this series possible and gracing Smallfish with such phenomenal music.